The row, SkiErg, and BikeErg calories will be performed at the same time by each athlete. The rope climbs, sandbags, and thrusters quantities will be counted as a total between both athletes. The row, SkiErg, and BikeErg calories will be performed at the same time by each athlete. 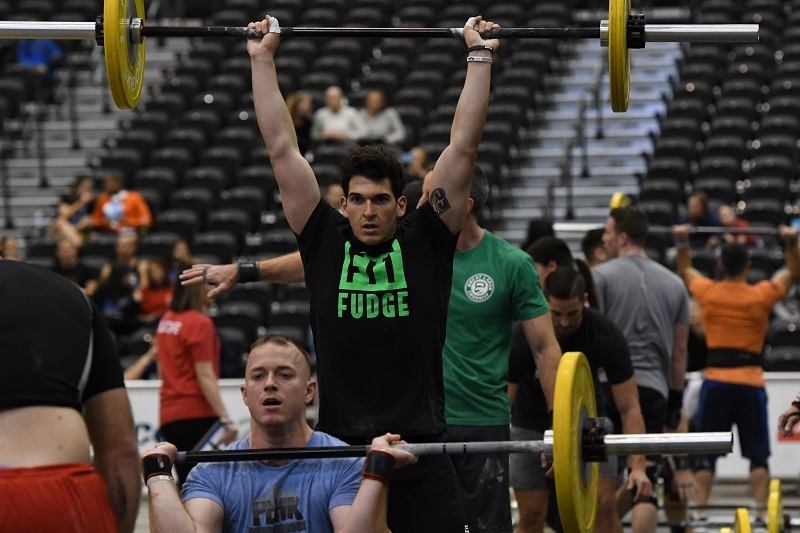 The toes-to-bars, sandbags, and thrusters quantities will be counted as a total between both athletes. The row and run meters will be performed at the same time by each athlete. The push-ups, sit-ups, box jumps, and pull-ups quantities will be counted as a total between both athletes. Athlete 2 completes the remainder of the registration process and checks out for $0.00. Heat assignments will be emailed to all athletes a minimum of 2-3 days prior to the event.